Our intercessions for Mothering Sunday were written by Rachel Walker. On this Mothering Sunday thank you for all those who care for us. We thank you for giving them compassion, grace and love displayed in your image. We pray for new mums, mums who struggle to bring children up in uncertain times, mums in war zones where safety and protection are not a constant. We pray for mums who have lost children or couldn’t look after their own. We pray for those who have lost mums or care givers to remember fondly their love they shared. We give thanks for those who have stepped up to take on the role of a mother, grandparents, fathers, friends, step families, through foster and adoption that all love has meaning. We pray for families and communities who struggle to feel and share love that they may be brought together on this day. A day when we remember and celebrate the gifts given from those around us. For the sacrifices and time they have given us for the memories they have shared and guidance they have provided. Please give them love, strength and patience and give us the inspiration to share and be thankful for all people that care for us. We reflect on a political time that was meant to mark an end and a beginning but instead we have nothing. May the vacuum be filled with wisdom, courage and a driving desire to show love and care for all but especially for those who really know what nothing is. For the families facing an uncertain future where home has terms and conditions and education is limited to dates and records rather than knowledge, inspiration or talent. We pray that they find a place in your Kingdom they can call home and as empathetic loving Christians we can do what we can to love, value and celebrate all they enrich our lives and community with here in Scotland. We pray for our nation and all others, that leaders are directed towards creating a society of justice and peace, where everyone is welcome, loved and together we can create and protect a better world. We pray for Slovakia’s first female president Suzanna Kaptova that she may continue to strive for peace and equality in her nation. On Mothering Sunday we thank you for all women who have stood up for each other, for minorities that have been discriminated against for any reason and not had equal chances, opportunities or voice and share their plight and vision for a fairer world. We pray for the delegation of Women that are inspired and challenged from the recent UN congress of women that they have your strength and vision for a world and a church that celebrates all and glorifies you. We pray for all those affected by violence and terror in our world. We pray for all those caught up in knife crime and stabbings specifically in London just now. We give thanks and compassion for all those first responders and the emergency services who put themselves at risk to help others. For the police who try to minimise and contain this trend, for the ambulance crew and all at hospitals dealing with the horrifying aftermath and for the fire brigade, coastguard, RNLI who do their best to protect and save others. We specifically remember the avalanche in the highlands and the sailor lost at sea, we pray for their family that they may find your love and peace at this difficult time. We think of our brothers and sisters across the world who face turmoil and conflict and we pray specifically for your resolution in Israel and Palestine. We pray that the persecution of Palestinians is brought to an end and that world leaders can support to protect the lives, livelihoods and homes of everyone. We pray for the armed forces and those who work away from home to try and create a more just world, we pray they will feel your Love and the love of those around them. We give thanks for the Christian church throughout the world to work together on a day and week where love should be shared and celebrated in a struggling society. We pray for the Scottish Episcopal Church for all the mission and outreach it does in our communities to share and show love by welcoming all. We pray for the diocese of St Andrews, Dunkeld and Dunblane as we prepare to welcome Christians from across the world as part of Fife’s pilgrim way. We give thanks for our bishop Ian and all those across the diocese and province who support the work of our church. 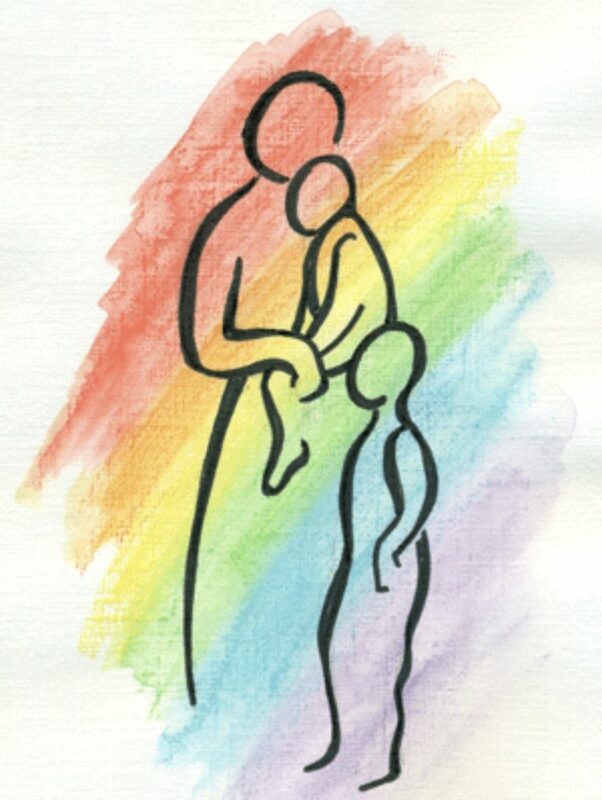 On this mothering Sunday we give thanks for Holy Trinity Dunfermline and St Margarets Rosyth and for the love we share with our families, young people and children and for the loving environment and people we strive to be. We pray for Kenny, Stuart, Ross, Elaine, Christine, Bubbles, James, Andrew, Linda and all others who spread the message of your love in this place. We pray that this church can flourish and grow. We lift up these prayers to you God and all the spoken and unspoken prayers of your people that you may comfort and protect us all and that we may go out loving and celebrating all those we hold dear.